From June 14 to 19, a special bike rendezvous organized by APT Servizi Emilia Romagna with the American tour operator Tourissimo, in collaboration with the Terrabici Consortium — The tour, in which three well-known California executive chefs, a San Francisco journalist and 13 tourists (clients of Tourissimo) will participate, has as its focus “Made In Italy” spanning cycling tourism, enogastronomy (wine and food), art and wellbeing — Among the stops there will be Ferrara, Ravenna, Fratta Terme, Bagno di Romagna, Forlimpopoli and Rimini — A special cooking class at Casa Artusi is planned — The Bike Tour will conclude at the Al Meni “circus,” where the American chefs will be undertaking the preparation of savory and innovative ice creams. From June 14 to 19, Emilia Romagna will be featured in a special bike tour organized by APT Services Emilia Romagna and the US tour operator Tourissimo, in collaboration with the Terrabici Consortium. The focus is an initiative that is truly special, given that among the participants there are: three well-known executive chefs from California; a journalist from San Francisco specializing in travel and enogastronomy; and thirteen tourists who have reserved this special vacation just inserted into Tourissimo’s catalog. The “package,” in fact, calls for the bikers to pedal together with the chefs along the region’s most beautiful roads, visiting premium art and enogastronomy locales, and participating in a special cooking class also. In recent years, there has been an increased interest in cycling tourism in Italy on the part of American bikers: interested not only in the beautiful attractions of our Country, but also in its good food and that “way of life” that make Italy stand out in the world. They are precisely the jewels of the regional enogastronomy scene, and the ability to make active vacationing unique in Emilia Romagna under the focused attention of Beppe Salerno of Tourissimo—the most famous among USA tour operators in the cycling world (www.tourissimo.travel)—who, just in the last year, made initial contact with the bike scene in Emilia Romagna by participating in an APT educational tour. Ferrara, Ravenna, Fratta Terme, Bagno Romagna, Forlimpopoli and Rimini, the principal locales involved in the tour—whose conclusive moment will be experienced in the “circus” of Al Meni, the great feast of tasting and street food which will see, for two days, 24 international and regional chefs involved and captained by star chef Massimo Bottura. For the occasion, the American biker-chefs will try their hands at the creation of unusual flavors of ice cream, supported by the master ice cream makers of Carpigiani, company leader in the realization of machines for handmade ice cream. cookbooks, and participated in various television programs devoted to enogastronomy. Travis Flood is partner and executive chef of Pappas Artisanal in La Verne, a small town in Los Angeles County. Benjamin Cohn is executive chef of the Westside Tavern in Los Angeles. All three, by following the trend of Californian high cuisine, greatly oversee the research of the raw materials and, in reimagining them, combine typically American dishes with those based on Mexican and Mediterranean cuisines. Among their passions, there is also the bicycle they are using to participate — along with hundreds of other chef-bikers — in an event organized by the association “No Kid Hungry,” whose purpose is the collection of funds for combating hunger in school-age children. Within the scope of the bike tour in Emilia Romagna, their “task” will be to help other US bikers with recognizing the products used (many of which will be seen and sampled during the various bike excursions), by connecting the product with the territory—thanks, also, to the guided visits to the locales and companies of production. In some instances, they will also take part in the preparation of the main dish of the day. Present at the regional bike tour will be, in addition to the three chefs, San Francisco journalist Tara Medeiros, who collaborates with various publications and, for this occasion, will realize a report in Intermezzo Magazine, a biweekly national publication (285,000 copies) covering international cuisine, wellness and trips. Among the tourists who have joined the Emilia Romagna bike “package,” there are various couples (one made up of a mother and daughter) and a family with two 19-year-old, twin children (male and female). Everyone is united by their desire to “live” a special vacation personifying the “Made In Italy” Bike Experience. Ferrara, featuring the “Destra Po” and its Delta; the charm of Ravenna and the Valleys of Comacchio; the hills of Forlì and Cesena; Forlimpopoli, with its myth of Pellegrino Artusi; the thermal spas of Fratta Terme and Bagno di Romagna, featuring the sights and sounds of the Apennines; the Rimini of Fellini, grand beaches and Al Meni—a feast of flavors. Here is a “sampling” of what US bikers will find along the tour which, from June 14-19, will welcome them to Emilia Romagna. 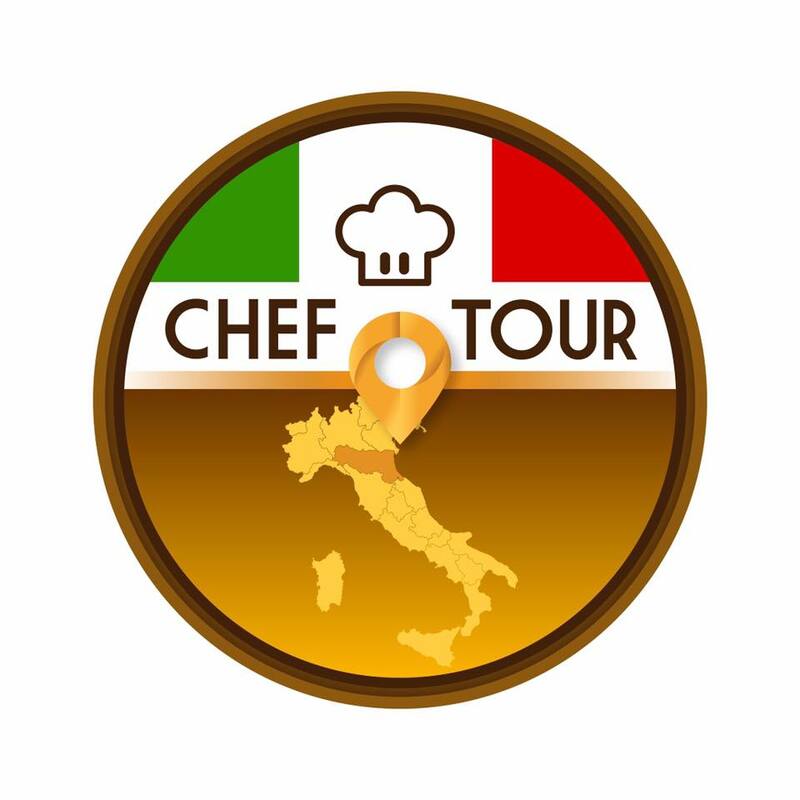 During the course, they will make tasty stops at the producers of local enogastronomy premium products; visit places rich in history and art, including two UNESCO sites; relax in the thermal spas of Romagnolo’s inland region; and participate in a special cooking class at Casa Artusi. On Tuesday, the 13th, the US guests are scheduled to arrive at Marconi Airport in Bologna, then transfer to Ferrara for their overnight stay. On Wednesday, the 14th, all the participants in the educational trip will get on their bikes for the tour’s first day, for which a guided visit is planned to the historic center of Ferrara, with stops at the Castello Estense at Palazzo dei Diamanti. During the day, the bikers will be able to sample one of the local traditional dishes: Cappellacci di Zucca Ferraresi PGI, a fresh-dough pasta featuring a squash filling. The second day, Thursday the 15th, will be devoted to the “exploration” of the Delta del Po regional park following the “Destra Po” right-embankment cycling route. The dish offered to the American group of gourmands will be based on the Eels of Comacchio. In the free time made available, a visit is planned to Ravenna. During the third tour day, Friday the 16th, there will be a stop at the Saline di Cervia, “custodians” of its famous sweet salt. The next scheduled stop is in Forlimpopoli, at Casa Artusi, where the life and works of Pellegrino Artusi will be presented to the US bikers; but first and foremost, the possibility will be provided to prepare handmade pasta with the assistance of the Mariette, the precious “teachers” owing their name to the irreplaceable cook and governess of Pellegrino Artusi, Marietta Sabatini. The task of the USA chefs will be the preparation of the sauce for the realized pasta constituting the dish of the day: tagliatelle con il ragù alla bolognese, long and flat ribbons of pasta in a Bolognese meat sauce. In the afternoon, the tour will move to the medieval village of Bertinoro, then reach Fratta Terme, where a relaxing stop in the thermal springs and the overnight stay are planned. On Saturday, June 17, the USA “caravan” will head for the Apennines, towards Bagno di Romagna, another well-known thermal resort where the 2017 Giro d’Italia bicycle race has made a stop—and the meeting point for hundreds of bikers who, on the next day of Sunday the 18th, will participate in the eighth edition of the Gran Fondo del Capitano cycling competition. Featured at this new enogastronomic stop will be piadina romagnola (Italian flatbread), while the dish of the day will be based on selvaggina e funghi (game and mushrooms). To complete the program, the USA guests will have the opportunity to meet star chef Paolo Teverini who, in Bagno, manages a restaurant much appreciated by tourists of taste. The calendar of scheduled events is full also for Sunday the 18th: in the morning, the bike tour will trail the Savio Valley, arriving at the municipality of Sogliano sul Rubicone. A visit is scheduled here, featuring tastings, of a company that produces Formaggio di Fossa PDO cheese. The tour will continue towards its final stop of Rimini, with participation at Al Meni, plus the chance to taste the dishes of the event’s featured star chefs and the ice creams created by the US chefs. Mary Sue Milliken will prepare a vanilla-flavored, white- based Sour Cherry Ice Cream (gelato all’amarena) with black cherries in rum and a few drops of Traditional Balsamic Vinegar PDO. Travis Flood will arrange tastings of Summer Night, a white-based ice cream featuring grilled nectarines, pink pepper and Fernet syrup. Ben Cohn, meanwhile, will be the composer of an ice cream made with extra-virgin olive oil PDO from Colline di Romagna and based on a zabaione, or zabaglione cream, which is a sauce made with eggs, sugar and wine. On Monday, the 19th, a little relaxation at the beach and, perhaps, the savoring of other tasty dishes of the regional cuisine, before returning to the USA: even if the vacation arranged by Giuseppe Salerno of Tourissimo — who is already thinking about the next “package” and has contacted a new, great American chef — foresees the possibility of extending the sojourn in Emilia Romagna.